PM accuses comptroller of failing to recommend creating firefighting squadron following Carmel fire. But while report was published after the fire, it did not investigate it, rather examined Israel's firefighting apparatus in general; opposition: PM trying to discredit comptroller ahead of Protective Edge report. Prime Minister Benjamin Netanyahu slammed State Comptroller Yosef Shapira last week ahead of the release of a report examining the Gaza tunnels threat. "Leadership is about making decisions, not writing reports," Netanyahu said during a visit to the Hatzor Airbase, where he met with firefighting pilots amid the fires raging in the country. Both in his comments to the media and in a post on Facebook, the prime minister claimed that in his report on the forest fire that ravaged the Carmel Mountain in 2010, the comptroller didn't recommend the establishment of an aerial firefighting squadron and that it was he, Netanyahu, who was the first to identify the need for one and acted accordingly. "The lessons from the comptroller's report have been implemented, except for one main lesson that was not in the report. The 2010 report did not include firefighting aircraft," Netanyahu told the media during his visit to the airbase. "I want you to try and imagine what would've happened today to the State of Israel if we didn't have firefighting aircraft. But this wasn't in the report. So the relevant question is not what was or wasn't in the report—but what is the right thing to do ... without a firefighting squadron, the country would've burned ... we don't deal with reports, we deal with results." It is important to note, however, that the state comptroller report did not investigate the Carmel fire. The report examined Israel's firefighting apparatus in general and was prepared and written long before the fire, but published several days after. Members of the opposition were quick to criticize the prime minister's attack on the State Comptroller, linking it to the Gaza tunnels threat report, which is expected to draw harsh criticism against Netanyahu himself, his cabinet, and the failure to prepare for the underground threat. "The prime minister is leading a cynical and false move as part of his preparations for the report on Operation Protective Edge," said MK Erel Margalit (Zionist Union). Fellow Zionist Union MK Yoel Hasson, who chaired the Knesset's State Control Committee in the past, said that "for Netanyahu, no statement is coincidental. He chose to attack the comptroller not out of concern for the victims of the fires, but out of concern for himself ahead of the comptroller's report on his own failures vis-à-vis the tunnels during Protective Edge." Hasson went on to say that "Netanyahu is managing our lives from one failure to the next, and has a regular trick on how to dodge criticism—mark those who expose his failings as traitors, leftists, and now also as irresponsible people who are only after their own interests, as he had just marked the comptroller. Netanyahu is busy fighting off reports while the citizens of Israel have to deal with the outcomes." 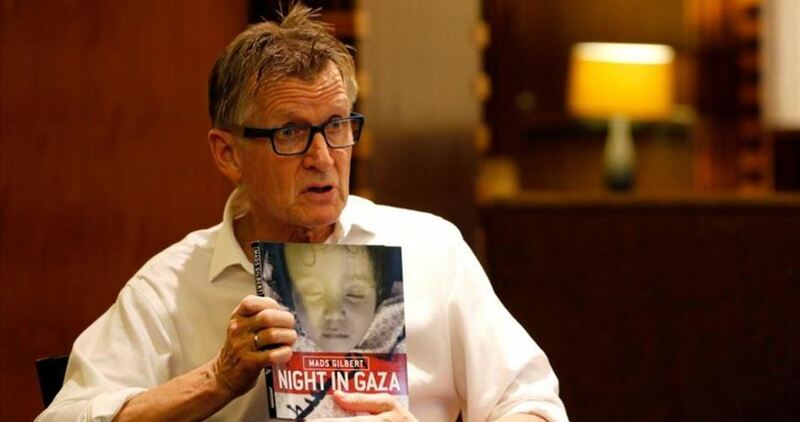 Mads Gilbert, a Norwegian doctor specialized in anesthesiology and emergency medicine, has revealed a number of crimes committed by the Israeli occupation against the Gaza Strip during its four wars against the coastal enclave. Gilbert, 69, said during an interview with Anadolu News Agency that he pledged to help the needy and weak, and therefore decided to travel from one country to another to support the Palestinians, asserting that he was with the Palestinians in Beirut during the Israeli invasion in 1982 and was with them in Gaza during the years of 2006, 2009, 2012 and 2014. Gilbert still remembers some details that media outlets did not speak about during the Gaza wars. He stressed that he saw how the Israeli occupation forces targeted hospitals, ambulances, killing doctors and medics, in an attempt to spread fear among the people so that they would stop defending their rights. These attacks were intentional, he asserted. The Norwegian doctor can’t find a justification for why Israel targeted 47 ambulances during the 2014 Gaza war, noting, “Israelis know that what they are doing violates international laws and conventions, but they enjoy impunity and they always escape punishment.” This pushed Israel to bar him from entering Gaza under “security claims,” he underlined. He believes that if the Israeli army wanted to kill fighters, it would have opened the borders and allowed civilians to leave, but the truth is that Israel and its US ally see in Gaza a fertile land to test new weapons to be sold to the world. “Despite Israel’s destruction of infrastructure, such as the power plant, and water tanks and buildings, during its 51-day offensive,” He said, “What draws most of the attention is the resoluteness and solidarity of the Palestinians, where the entire people serves as one family to save the lives and to heal the wounds, therefore I am committed to answering the call of duty of Palestine at any time. This is a life commitment,” he underscored. “What would the reaction of the world be if it were Palestinians who did what Israel did in 2014 in Gaza,” referring to Israel’s killing of 21 doctors, 556 children, and targeting 47 ambulances. 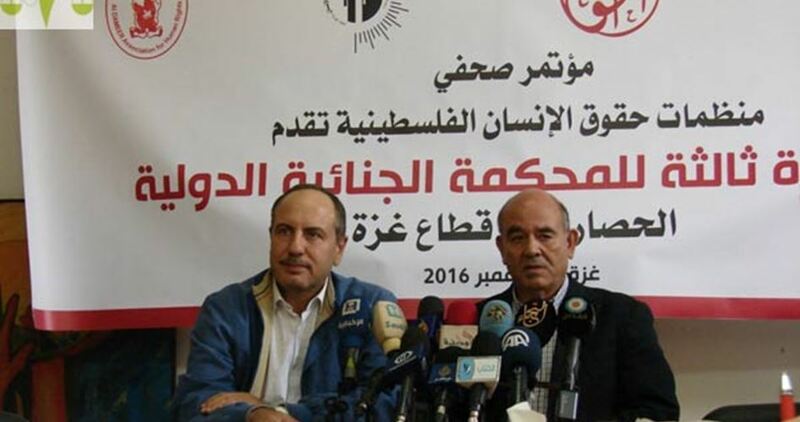 Three Palestinian human rights organizations held Tuesday a press conference to announce presenting the third legal submission to the International Criminal Court (ICC) titled as “Gaza Illegal Closure: Persecution and Other Inhumane Acts Committed against Civilians as a Crime Against Humanity“. The three organizations include Palestinian Center for Human Rights (PCHR), Al-Haq and Al Mezan Center for Human Rights. Both of lawyer Raji Sourani, Director of PCHR, and Issam Younis, Director of Al Mezan, delivered speeches during the conference while Shawan Jabareen, Director of Al-Haq, held a meeting in the Hague with Prosecutor of the ICC, Ms Fatou Bensouda, to deliver the legal submission on behalf of the Palestinian human rights organizations. 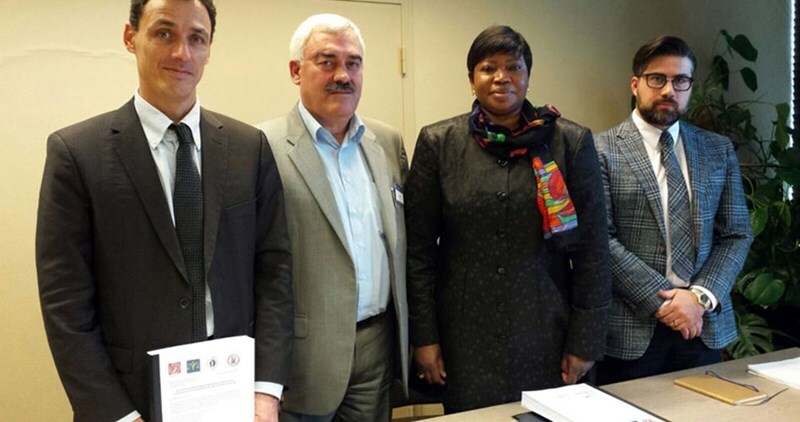 It should be noted this is the third legal submission of its kind to the ICC by the Palestinian human rights organizations. Sourani stressed that the human rights organizations has pledged on behalf of the victims to neither forget nor forgive and to proceed with the prosecution of Israeli war criminals for all their crimes, including the Israeli closure imposed for nearly a decade that has turned the Gaza Strip into the world’s largest open-air prison and resulted in a man-made disaster. Sourani added that the human rights organizations’ role before the ICC will not end here, however, there are further submissions on settlement activities and the harvest of human rights organizations’ legal work before the Israeli judiciary. Issam Younis added that today is a big day in the context of seeking justice for Palestinian victims in light of long-standing denial of justice within the Israeli judiciary. 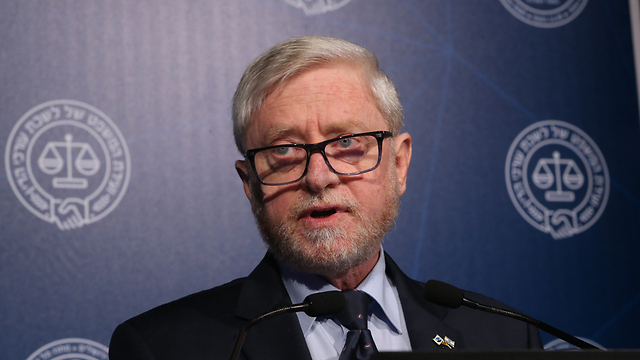 He considered resorting to the ICC as an indispensable step after the State of Palestine had acceded to the international conventions and ICC’s Rome Statute. Younis believes that the human rights organizations do not consider resorting to the ICC as a political conflict with the Israeli occupation, because the ICC was founded so that the victim and the criminal can square off. The liability and accountability are missing in this part of the world. Israel has imposed a 10-year blockade on Gaza after Hamas Movement won 2006 legislative elections. Three Israeli bloody aggressions were waged during the decade-long siege, leaving thousands of victims and tens of thousands of injured. Israeli comptroller Yosef Shapira, a retired judge, has submitted his final report on the handling of the Gaza tunnel threat by the Israeli government before and during the 2014 war, which the army dubbed Operation Protective Edge. Compared to previous draft reports, his final statement on the matter leveled sharp criticism at political and military leaders, especially Israeli premier Benjamin Netanyahu and his former war minister Moshe Ya'alon, according to Israeli officials, who read it. Shapira criticized Netanyahu and Ya’alon for underestimating the threat which cross-border underground tunnels posed to the safety of Israeli soldiers at the time and for causing costly military failures as a result of their misjudgment. “Some of the criticism relates to the fact that the two never held an organized cabinet meeting on the topic and did not update other ministers on critical pieces of information, despite being aware of the severity of the tunnel threat in the year leading up to Operation Protective Edge,” Yedioth Ahronoth newspaper said. According to information obtained by the newspaper, Shapira wrote that there was no single in-depth discussion at the Israeli cabinet on the tunnel threat. In addition, he stated that Netanyahu and Ya'alon left out crucial information on the issue during cabinet meetings and were not accurate in conveying facts regarding it. He clearly accused Netanyahu of dismissing the tunnel threat and not preparing an operational plan against it. “Now, the battle over whether or not to release the report to the public is being waged. The opposition is concerned that Netanyahu will exert political pressure in an attempt to stop the publication of the report,” Yedioth Ahronoth pointed out. The Palestinian resistance movement Hamas on Saturday slammed an International Criminal Court (ICC) delegation for skipping Gaza during a stopover in the occupied Palestinian territories. The ICC team, which popped in the occupied Palestinian territories on Wednesday for a five-day visit, did not pay a visit to the blockaded Gaza Strip, which has been the target of several Israeli wars as well as recurrent Israeli military incursions. The delegation toured Tel Aviv, Occupied Jerusalem, and the central West Bank city of Ramallah. Hamas expressed regret at the ICC team’s refusal to visit Gaza, a decision it said had been made under the influence of Israel. “It is regrettable that the ICC delegation yielded to the demands of the Israeli occupation to exclude the Gaza Strip from the delegation’s schedule, despite the fact that the Gaza Strip was the main site of Israeli crimes in 2014,” the Hamas statement read. 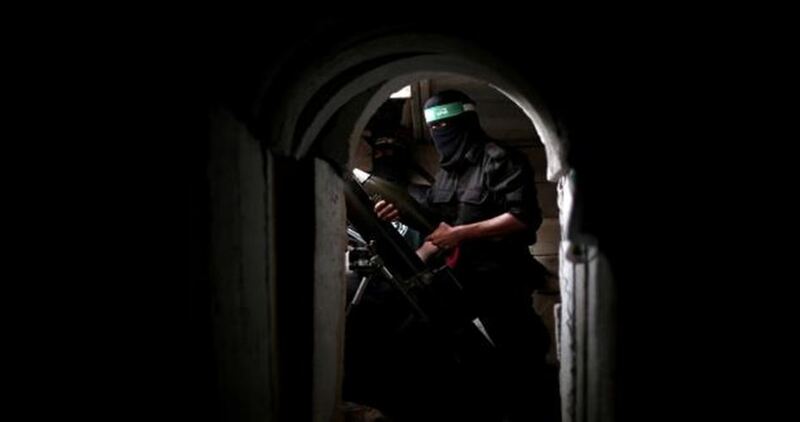 As a result, Hamas considered the delegation’s visit pointless and useless. According to Hamas, the visit has caused more pain and suffering for the families of victims who counted on the ICC to bring justice to them and bring the Israeli war criminals before the court. The 50-day Israeli military offensive on Gaza, which ended on August 26, 2014, killed nearly 2,500 Palestinians, mostly children, women, and elderly civilians. Palestinians have been calling on the ICC to launch a probe into Israeli war crimes during the 2014 war on the besieged enclave. Various human rights groups have accused Israel of committing war crimes in the 2014 onslaught and submitted several cases related to Israel’s devastating war on Gaza to the ICC. Apart from the several bloody wars it has waged against the enclave, Tel Aviv sends its warplanes on sporadic fatal forays over the territory. Gaza, with a population of more than 1.8 million, has been under siege by the Israeli occupation since June 2007. The blockade has caused a decline in the standards of living as well as unprecedented levels of unemployment and unrelenting poverty.